Houston, TX – Myra Ical lived and died as a transwoman, but the Houston media have not given her the dignity of acknowledging her gender identity when reporting on her likely hate murder. The Houston Chronicle reported Ical’s January 18 murder in the Montrose section using exclusively male pronouns, calling her male, and playing up the sensational aspects of the area where homeless people eek out a living. 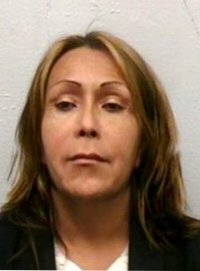 As is often sadly the case in reportage that is lazy and salacious, the Chronicle used innuendo to suggest that Ical, whose body was found partially naked and covered with bruises and defensive injuries indicative of her fight with her attacker(s), was consorting with prostitutes and drug addicts. Local and national LGBT rights organizations have pushed back against this media injustice by calling attention to Ms. Ical’s gender identity and expression, and demanding that reportage get this aspect of such a terrible story right. According to The Advocate, Human Rights Campaign board member and Pride Houston president Meghan Stabler submitted a strongly worded letter on behalf of both organizations to media outlets covering Ms. Ical’s murder, urging reporters to “use fair, accurate and inclusive reporting” when reporting on LGBT issues. The letter read, in part: “On Monday January 18 the brutal murder of Myra Ical occurred in Houston. She is a transgender woman but the media continue to use male pronouns along with colorful statements about being found in an area known for drugs and prostitution. This lazy and irresponsible journalism shows the amount of ignorance about transgender issues that is rampant among far too many reporters despite the existence of resources to help them report accurately.” GLAAD and the AP have clear guidelines on how LGBT-oriented stories should be reported, leaving big media like the Houston Chronicle without excuse. Myra Ical, who was 51 when she died, will be remembered at a candlelight vigil near the site of her murder at the corner of Richmond Avenue and Garrott Street on Monday, January 25, from 6-6:30 pm. The Facebook notice for the vigil calls upon media and the Houston Police Department “to communicate with the public in a way that respects the victim.” Thanks to Daniel Williams for breaking this story in the DFW metroplex. I feel like calling on all LGBT folks and supporters to organize a strick, like the Tea Party folks did to demonstrate to the breeders and homophobic ignorant people of the USA how many of us are being insulted, threatened and dehumanized every day when hate crimes are commited, not just to one of us, but against all of us. We should strick until the vilonce ends and we are finially accepted as whole people and respected as such!